Dinner with Your Dog Benefits St. Hubert's! Dogs and their well-behaved humans are encouraged to join us for Gladstone Tavern's 8th Annual Bring Your Dog to Dinner. 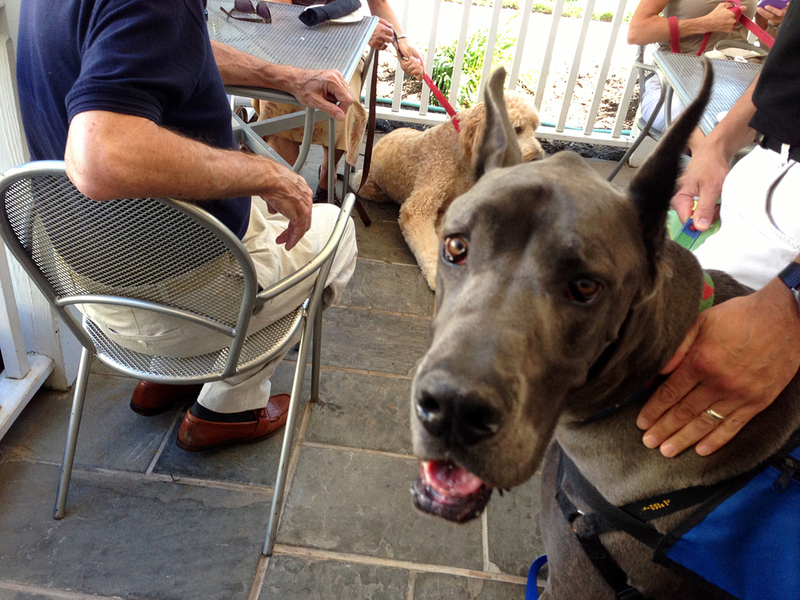 On Sunday August 25th, seatings on the Tavern terrace with your "best friend" will be at noon, 2, 4 and 6 pm. We'll be serving our regular Dinner menu all day from 12 noon. Admission is $10 donation per dog — Daily specials featuring beef stew for dogs, in 2 sizes, and dog biscuits — with all proceeds to going to benefit St. Hubert’s Animal Welfare Centers in Madison and North Branch for the Centers' veterinary care, shelter, food and adoption program expenses.